The Fokker D VII aircraft may have made a rather late entry into the war (January 1918) but that doesn’t mean this bird didn’t make its mark. 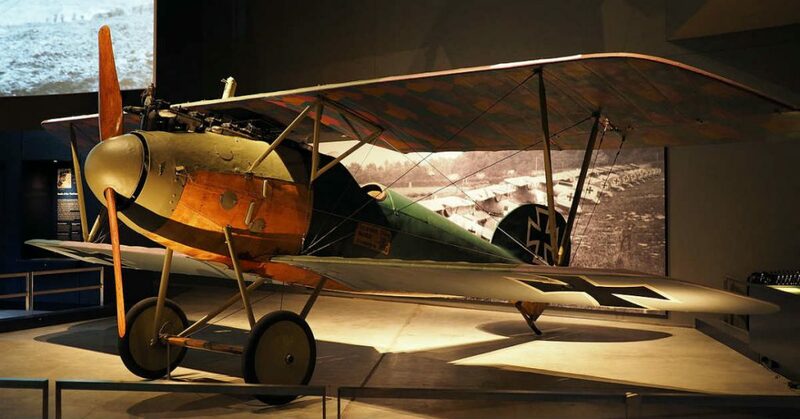 Designed by Reinhold Platz of Fokker-Flugzeugwerke, this World War I aircraft quickly proved its mettle over the skies of Europe until the end of the war. 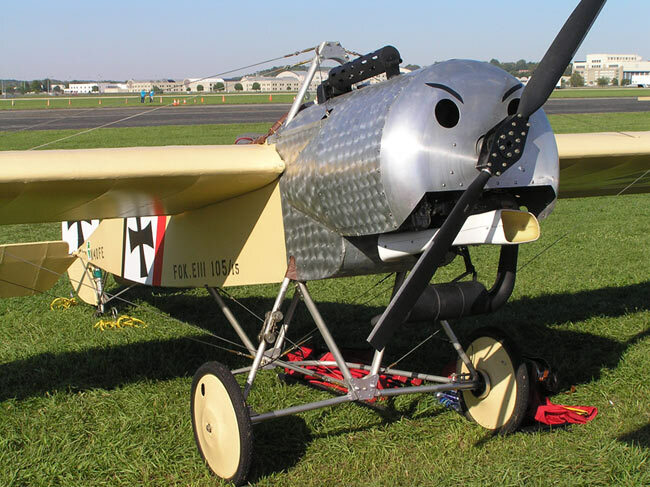 Fitted with a Mercedes D.IIIa engine, this Fokker’s performance outstripped most other World War I aircraft. A max speed of 117 miles per hour meant that it could outrun its competition. A service ceiling just shy of 20,000 feet gave it plenty of operating room once in the air. Combine that performance with formidable armament of two 7.92 mm LMG 08/15 Spandau machine guns and it is no wonder this aircraft continued to see service long after the Armistice ended “the war to end all wars.” Not bad for an aircraft initially dismissed as “ungainly”. The first in a series of fighter aircraft, the SPAD S.VII was produced by the Société Pour L’Aviation et ses Dérivés during most of the First World War. Based on a modified automobile engine, a Hispano-Suiza 8A, the S.VII was in essence a smaller one-seater version of the SPAD SA pulpit fighter. But being operated by a single person didn’t make this World War I aircraft any less formidable in the air. Its maximum speed of 119 miles per hour put it well ahead of most competitors. Furthermore, the range of 225 miles meant it was able to strike the enemy where they would least expect it. And while it only carried one gun, that weapon was a Vickers .303 machine gun — a weapon renowned for its performance on the battlefield and now in the skies. Used by both British and French forces throughout the war, the SPAD S.VII was a game changer in the aerial dogfights of the Great War. 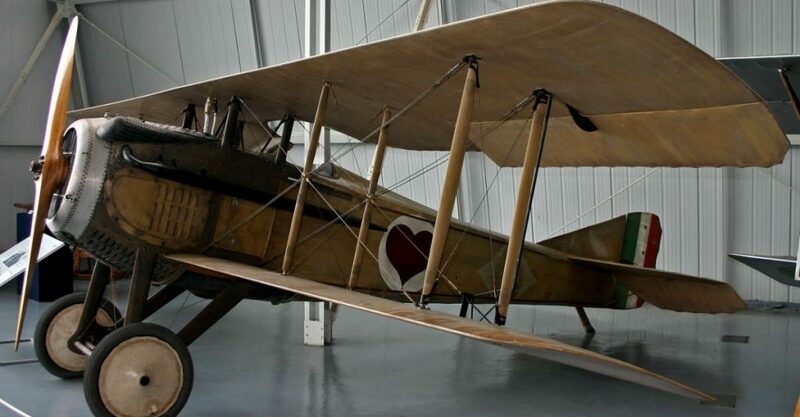 The Royal Aircraft Factory S.E.5 has the distinction of being perhaps the fastest World War I aircraft, offering stable, nimble performance at speed. It’s no wonder that this bird is often described as “the Spitfire of World War One”. At the heart of this performance lay a formidable engine, the Hispano-Suiza 8. Which isn’t to say there weren’t bumps along the way. Initial test flights proved disastrous. A test pilot was killed in one case. However, improved wing design fixed these issues and the S.E.5 quickly proved as capable in a close dogfight as the renowned Sopwith Camel. A stunning top speed of 138 miles per hour and an impressive range of 300 miles meant that the S.E.5 outperformed almost everything in the sky. 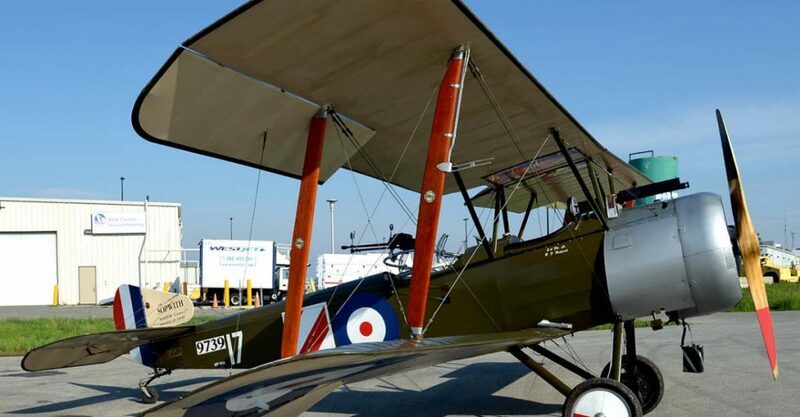 Combined with formidable armament including a Vickers machine gun, a Lewis gun on the upper wing, and potentially four 25 pound Cooper bombs when needed, and it’s no wonder that this aircraft is as well remembered as it is. 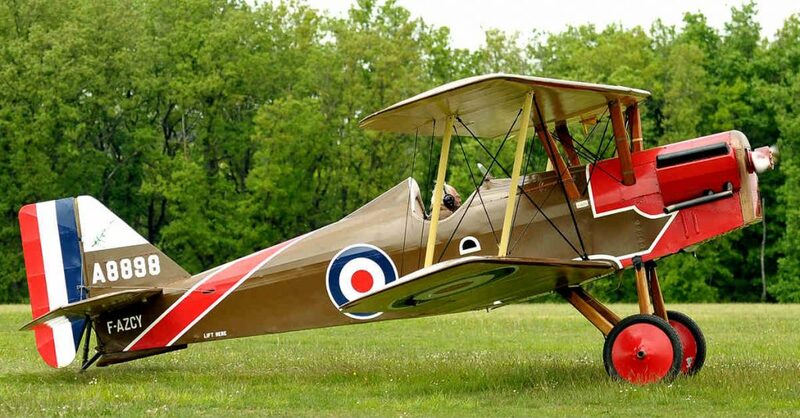 The Sopwith Camel is arguably the most iconic fighter of the war and one of the most storied aircraft of all time. 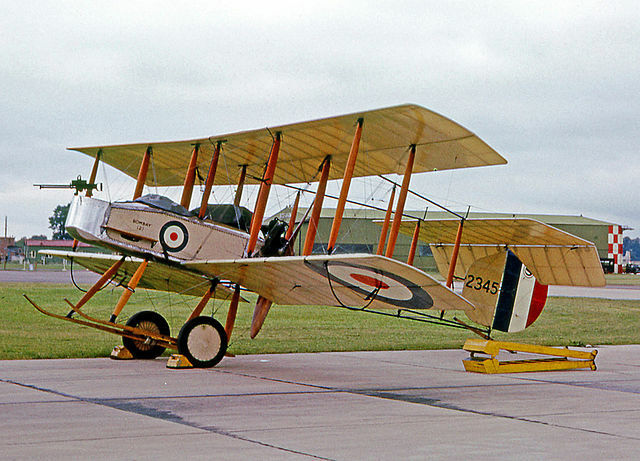 Volumes have been written about the role the Sopwith Camel played in military history. 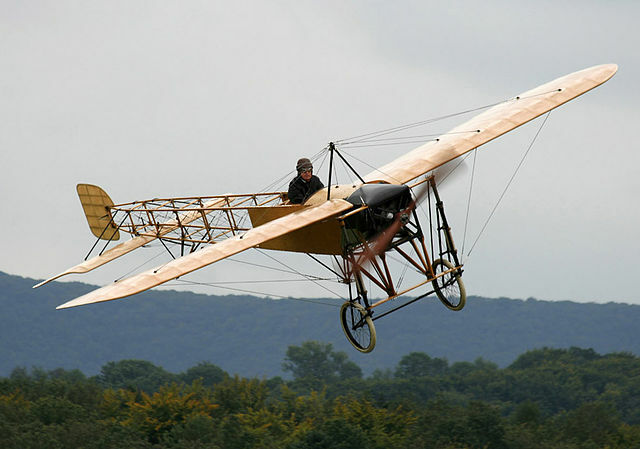 A biplane, the Camel’s name came from the metal fairing used to cover the guns and keep them from freezing at altitude. The unique hump reminded some of the test pilots of a camel, although the moniker was never formally adopted. Powered by a Clerget 9B rotary engine, the Camel’s design pushed the limits with a state of the art aluminum housing and one of the first synchronized firing mechanisms. This allowed its twin Vickers machine guns to shoot through the propeller while in operation. In addition to its main variation, the Camel was also produced in night fighter and aircraft carrier models. It saw active service even after the war, and a few dozen survivors and replicas are flying to this day. Another offering from the Société Pour L’Aviation et ses Dérivés, the SPAD S.XIII is one of the most prolific fighters of the war. Well over 8,000 are known to have been produced during the conflict. Wit the renowned Hispano-Suiza 8A as a powerplant, the SPAD S.XIII is capable of speeds up to 135 miles per hour, pushing the limits of aircraft design in its day. And that power meant that the SPAD S.XIII could climb high, with a max altitude of 21,815 feet. The stocky design was initially off-putting to many pilots and some glitches in construction led to reliability issues with the engine. However, with that sorted out, the S.XIII’s power and performance soon made it a favorite among the fighting men of the First World War. This is attested to by the fact that most Allied forces made use of it in some capacity both during and after the conflict. 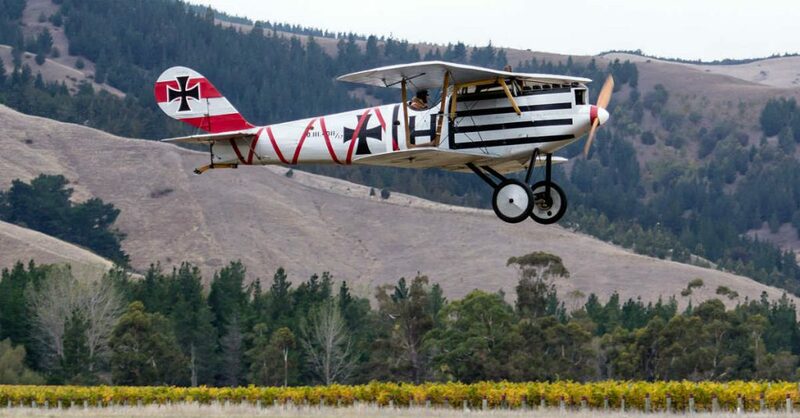 The Nieuport is a French-designed sesquiplane, which means that it’s a biplane with a lower wing no more than half the size of the upper wing. This, in turn, reduces interference drag between the wings and leads to increased maneuverability particularly at high speeds. 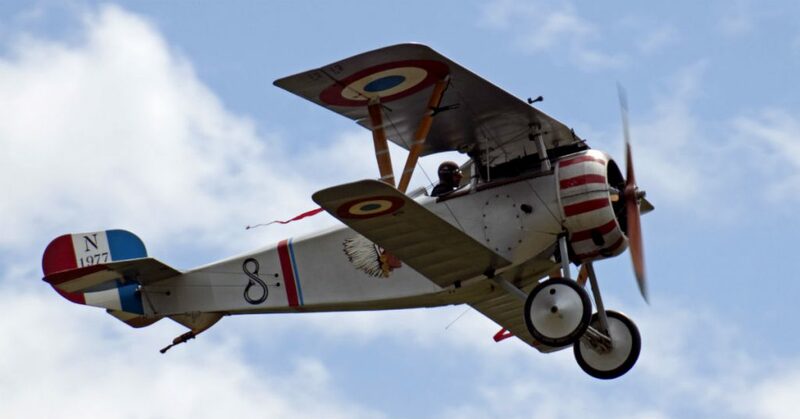 In addition to its impressive maneuverability, the Nieuport 17’s Le Rhone 9ja 9-cylinder engine gave it enough power to reach a top speed of 110 miles per hour and a max altitude of 17,390 feet. While not the fastest plane of the war, it certainly could keep pace with any of its competitors. The weapons configurations varied depending on the operator. Nieuport 17 was such a popular design that it was adopted and copied by many armed forces of the war, including the Germans. Ultimately, it stayed in service in limited roles into the 1920s and a few survivors still fly today. 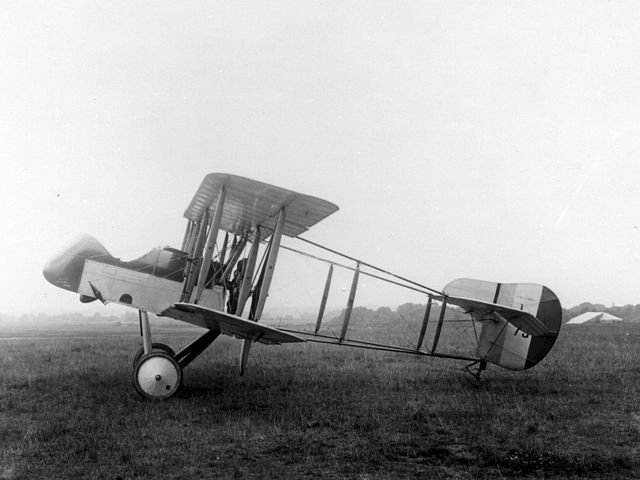 Developed at the Bristol Aeroplane Company by legendary designer Frank Barnwell, the Bristol M.1 was one of the first successful monoplanes of the First World War. They appeared midway through the war, July of 1916, with a conventional wood and fabric construction reinforced by internal flying wires and steel tubes. The M.1 spent most of the war in the Balkans, where British troops quickly became enchanted with the design and the potential it offered. In fact, they were quite popular as private mounts for ranking officers. With a top speed of 130 miles per hour, it’s easy to see why flying a then-advanced monoplane would become a badge of rank. Only a small handful remain in tact today, but the memory of the M.1 Monoplane Scout lives on in aviation enthusiasts around the world. The Fokker Dreidecker is, as the name might suggest to German speakers, a tri-plane. This three winged design stood out in an era dominated by biplanes. 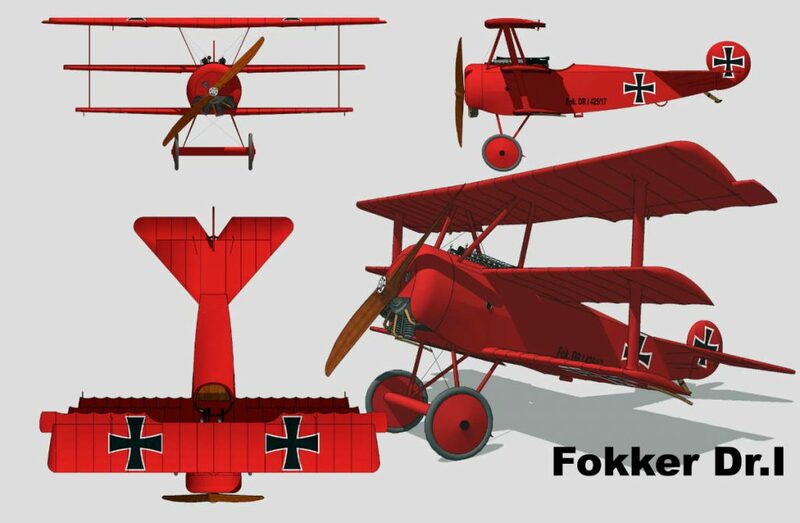 So much so that the Fokker Dr.I was the aircraft of choice for Manfred von Richthofen, the legendary Red Baron. In this bird he won his last 19 dogfight victories before his death in April of 1918. Inspired by the Sopwith Triplane, the engineers at Fokker began work on their own version. It was intended to be more heavily armed with two 7.92mm Spandau machine guns. It was also more powerful than many of its competitors, with a 9 cylinder rotary Oberursel engine providing 110 horsepower. While one of the most iconic World War I aircraft and flown by its most famous pilot, only a few Dr.I survived. However, due to its popularity enthusiasts around the world have made period appropriate replicas that occasionally appear at air shows. The Sikorsky Ilya Muromets was a series of aircraft designed and flown during the Great War by Imperial Russia. While less famous in the West than some of their contemporaries, these machines were impressive in their own right. 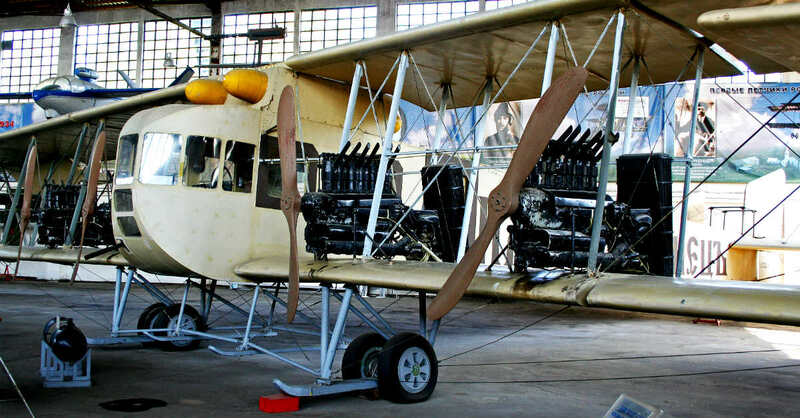 Powered by four Sunbeam Crusader V8 engines, each producing 150 horsepower, the Ilya Muromets had a top speed of only 68 miles per hour but a service flight time of up to 10 hours. Therefore, it was an ideal long-range bomber by the standards of the day. With a payload of up to 1,500 pounds of bombs, this made the series some of the most dangerous bombers of its war. 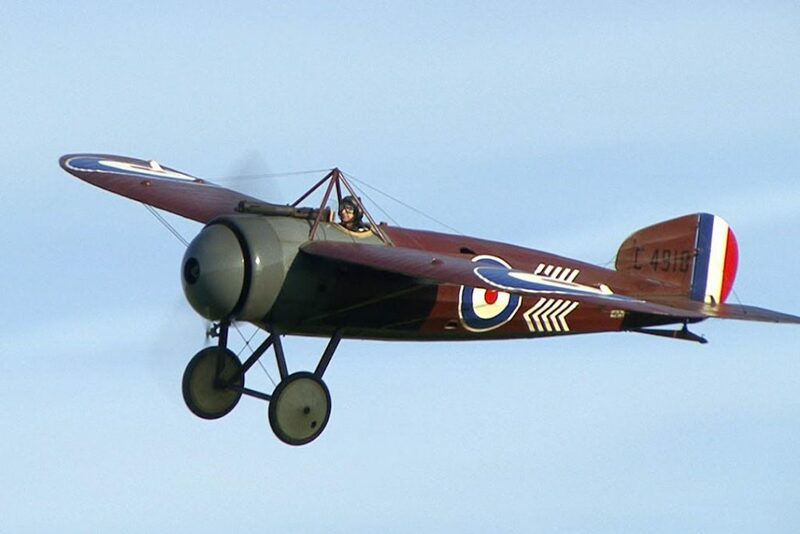 Available in single seat or two-seater versions, the Strutter was one of the great multi-role biplanes of the Great War. It got its name due to a peculiarity of its design: the short and long cabane struts that support the top wing. The 1 ½ Strutter also offered an armament first. The first British aircraft with a synchronized machine gun, allowing it to fire through the path of a moving propeller. Powered by the Clerget 9B rotary engine, the Strutter turned 130 horsepower into a top speed of around 100 miles per hour. Not the fastest World War I aircraft, but not shabby by any means. 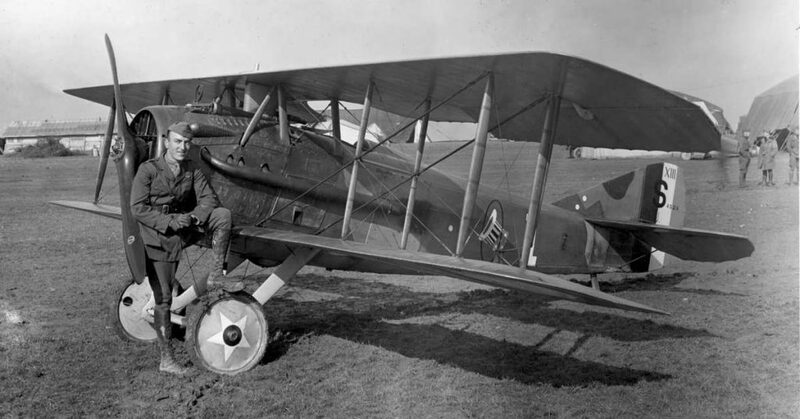 Adding in two machine guns, a forward shooting Vickers and a Lewis gun in the observer’s cockpit, and up to 130 pounds of bombs and the Strutter became a versatile weapon for the first modern war. 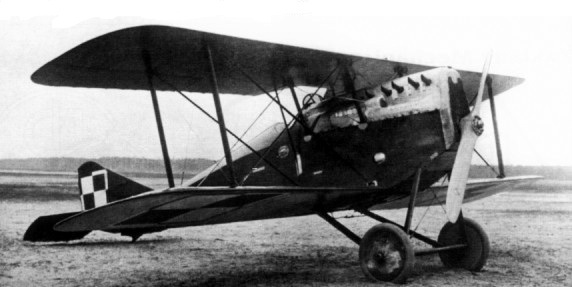 The Pfalz D.III made a late appearance in the war, but that delay meant that it took advantage of the innovations offered by years of experience and development. Inspired by the Morane-Saulnier monoplane, the D.III was an attempt to produce a wholly original fighter design that took advantage of the engineering achievements of earlier aircraft. The purpose-built Mercedes D.IIIa six-cylinder engine provided a then-whopping 160 horsepower, which translated into a top speed of over 100 miles per hour. The time to altitude was also impressive. Just under seven minutes to 5,000 feet gave the D.III a real advantage over most other World War I aircraft. Despite widespread use by both the German and Ottoman armed forces, no period D.III survive today. However, a number of replicas have been built for film productions. The Blériot XI made history when designer and pilot Louis Blériot used it to make the first powered flight across the English Channel. This was a huge step in the history of aviation, and the XI in that moment cemented its place as a pioneering design. The monoplane construction reinforced with flying wires was also a first, as was the unique tail rudder design. It also was one of the first vehicles to incorporate elasticized cords into the control system, probably the first use of bungees in an aircraft. The XI was widely used for its day, appearing in the arsenals of Mexico, the UK, France, and the Ottoman Empire. 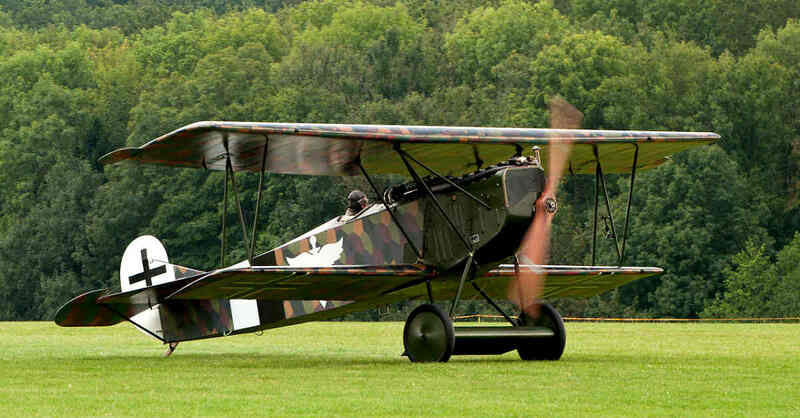 It ceased production just as the First Wold War was starting, but it saw action in 1914 as a reconnaissance aircraft. Italy’s only domestically designed fighter of the Great War, the Ansaldo A.1 Balilla is the source of much national pride for Italians. This shows in the name. “Balilla” is the name of a Genoese folk hero who played a key role in the revolt against the Hapsburgs in 1746. Frustrated by the lack of a suitable fighter aircraft, the Ansaldo company designed one around their SPA 6A six piston engine, a powerhouse delivering 220 horsepower. This gave the A.I a then mind-bending top speed of 140 miles per hour and a range of over 400 miles. Add in two Vickers machine guns, and the result was a weapon of war that rivaled anything available. The A.1 also served in the Greek and Polish forces, and made a few appearances in the military of the nascent Soviet Union. Not bad for a first attempt fighter. The Albatros D.V was an advanced fighter aircraft for its day, with many features that would later become standard for all fighters. The 200 horsepower Mercedes engine delivered a top speed of 110 miles per hour, with a very impressive range to match. However, by the time production ceased in 1918, the Albatros D.V was moving into obsolescence. Structural and handling problems abounded, and most pilots preferred other aircraft. However, parts of the Albatros were marvelous. The elliptical cross-section wings were game changers in the world of aerodynamics. As was the new ventral fin and tail design. It was also one of the first aircraft to undergo regional variation, with additional radiators added to those serving in hot climates. The Airco DH.2 is what is known as a “pusher” aircraft. This means the propeller is mounted behind the engine or wing and pushes the aircraft forward rather than pulling it along, as a conventional prop does. The DH.2 looked odd, with the prop nested between the wings rather than behind them. This innovative design led to some interesting performance traits that were milestones in aviation history. 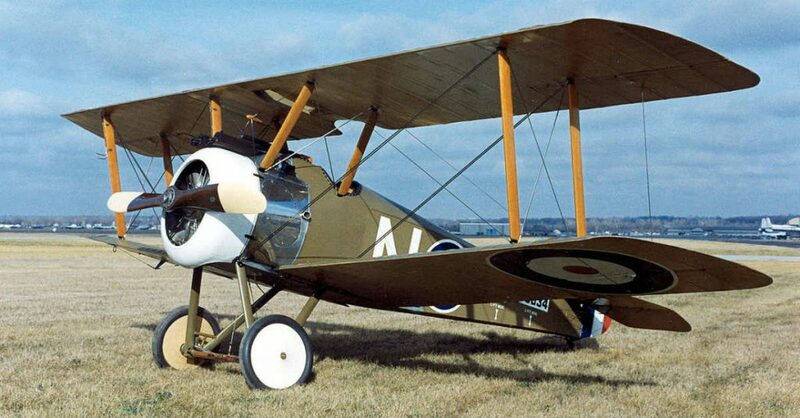 The DH.2 handled very differently than other British World War I aircraft, leading to more than a few accidents at first. But when pilots got used to its design, they found it highly maneuverable and very easy to fly. So much so that several British aces, including Victoria Cross recipient Laneo Hawker, delivered their best performances in this aircraft. 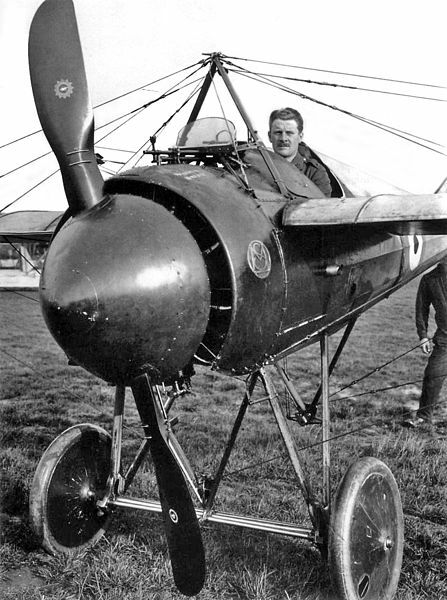 Most of the more famous aircraft of the First World War were fighters. But in truth, bombers were making an appearance and played important roles in the course of the conflict. Among them was the Caproni Ca.3, an Italian heavy bomber with a unique three engine design and an impressive military history. 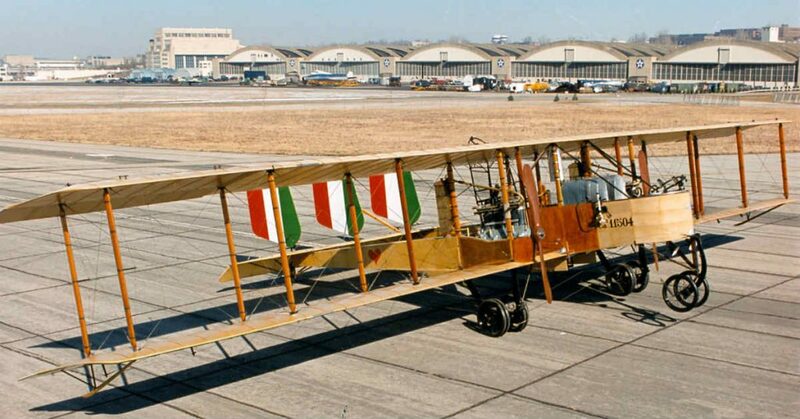 First appearing in 1915, the Ca.3 became a mainstay for the Italian air force, striking targets in Austro-Hungary with relative ease. They were able to fly an impressive 372 miles without refueling. The payload was also impressive. 1,764 pounds of bombs meant that the Ca.3 could deliver a crushing blow to an enemy position or airfield. While only three remain today in museums, this World War I aircraft certainly played a big role in history. This plane has two impressive monikers: the Fighting Biplane 5 and “The Gunbus”. And it earned every inch of them. The concept was of a flying armed biplane built to destroy other World War I aircraft. At the time, most planes were reconnaissance vehicles, so this was a huge step forward in military thinking. After several test runs, the result was a two-bay biplane with a nine cylinder rotary engine. A single Lewis machine gun operated by the observer allowed the pilot to focus on flight. The Gunbus was a staple of the British air forces throughout the war and saw limited service in other countries as well. There are no period F.B.5s in existence, but a few replicas have been made. The Fokker E.III Eindecker was, as the name suggests, a monoplane fighter aircraft fielded by the German forces during the First World War. It appeared relatively early, December of 1915, and remained in service until the end of the conflict. Based on the E.II, this World War I aircraft featured larger and more carefully designed wings with a slightly more narrow profile. It maintained the same engine as its predecessor, but had a larger fuel tank in order to extend its operational range and air time. While not as heavily armed as some other World War I aircraft, the offset Spandau machine gun packed enough of a punch to make the E.III competitive in air to air combat. Production continued through the war, and the aircraft remained in service for years afterward. Today only one remains on display at a museum in London. The Morane-Saulnier N, officially designated the MS.5 C1, was the first attempt by the French to produce a monoplane fighter aircraft suitable for combat during the First World War. The design was both striking and innovative, with smooth aerodynamic lines and an aggressive nose cone. The performance was impressive for such an early effort. Ninety miles per hour as a top speed and a 13,000 foot ceiling were competitive at the time the N was introduced. Likewise its single Vickers .303 machine gun packed enough of a punch to make it a formidable opponent when its maneuverability was taken into account. 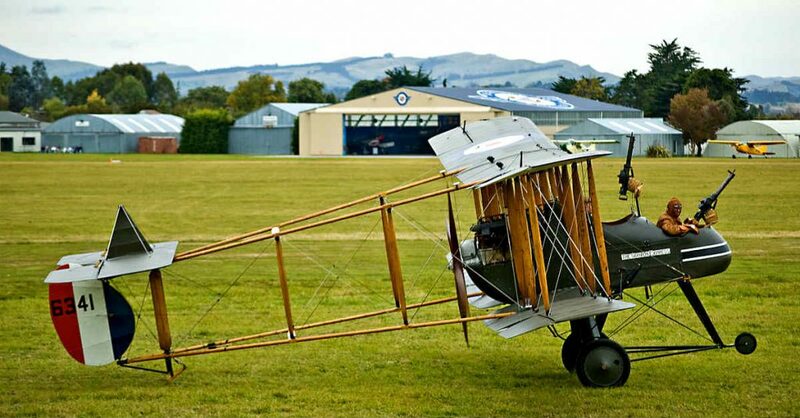 Developed between 1911 and 1914 the Royal Aircraft Factory Farman Experimental 2 appeared in a series of variants, each designed for a specific mission set. All variations were pushers (aircraft in which the propeller is mounted behind the engine and pushes the bird forward) and they made use of the then state-of-the-art Gnome rotary engine. This allowed for a forward mounted Vickers machine gun on the nose, making it much easier for a pilot to align the shot in combat. In addition to its fighter role, this World War I aircraft was also configured to be a night fighter and a bomber. The aircraft also underwent upgrades throughout the war, with more powerful engines and better rotor designs implemented at various points. While only one period aircraft remains, several air-worthy replicas still grace the skies on occasion.